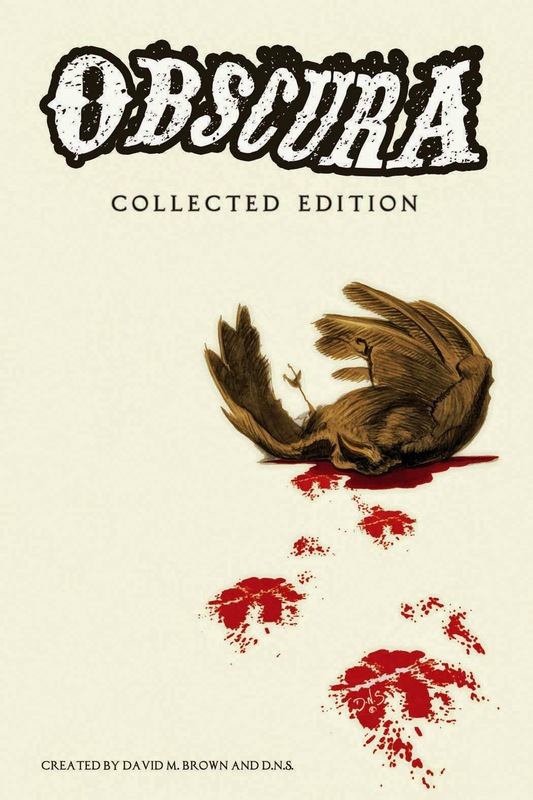 The Fellowship was fortunate enough to obtain a copy of OBSCURA Collected Edition from Fifth Dimension Comics. The book is created by David Brown and D.N.S. This book is a collection of short horror stories of widely varying themes and subjects. A family learns to cope with the zombie apocalypse. A man and his chimp friend fight tentacle women. Death himself meets his end. A coroner learns about right and wrong. A clown brings revenge down upon a kidnapper. A space explorer comes to a startling realization. And those are just a few examples of what’s in store. This collection contains some of the creepiest and weirdest comic shorts I’ve seen in a long time. And they don’t just look creepy (though they really, really do) – there are some seriously well-written horror stories in this book. For my money, “Flicker Rate,” “Family A.D.” and “Jonesy” are some of the most interesting, gut-wrenching stories I’ve read this year. There’s a ton of underlying meaning in them, showing us real people in unusual and sometimes scary situations. And the art ranges in style from dark and gloomy to action-packed and colorful. If you’re into horror comics, this is a no-brainer (there’s a pun in there somewhere…). If you think you might like to try them, definitely get this book. OBSCURA Collected Edition is available now through its current Kickstarter campaign – details can be found at this link.